This April, the Army updated Army Regulation 670-1, which addresses tattoos. The new policy relaxes the former rule, which went into effect in March 2014. The new policy took effect April 10, 2015, according to the Department of the Army’s media relations office. The new rules still prohibit soldiers from sporting tattoos on their necks, heads, faces, wrists, and hands, except that one ring tattoo is now allowed on each hand. Tattoos depicting certain images or ideas, such as tattoos indicating an affiliation with “extremist” ideas or groups, indecent or “grossly offensive” tattoos, and sexist, racist, or demeaning words or images also remain unauthorized under the new policy. The new regulation does, however, relax the rules regarding tattoos on the arms or legs. While the previous policy limited tattoos below the elbow or knee to no more than four, the new policy does not set a limit on the number. Nor does it limit the size, while the former policy required that each arm or leg tattoo be no larger than the tattoo owner’s hand. 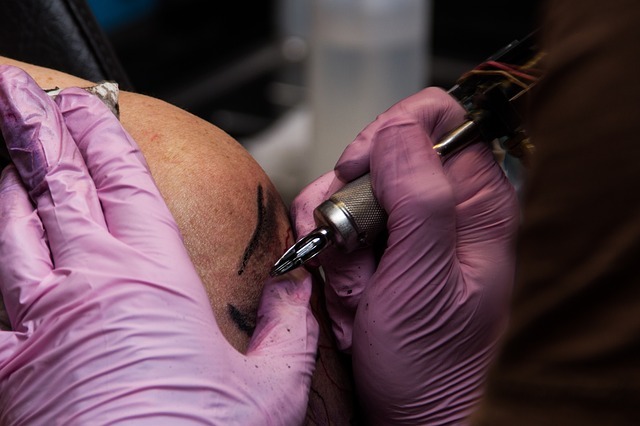 Tattoos that were unauthorized under the former policy will not be “grandfathered” in under the relaxed rules, according to the media relations office. Commanders are also no longer required to check and document tattoos each year. However, data about tattoos that was collected under previous policies may still remain part of the Army’s records. Attorney Joseph H. Low IV strives to provide a vigorous defense to every client our firm represents. If you’re seeking the help of an experienced California military criminal defense lawyer, contact us today for a confidential case evaluation.